The Judean exploded into a defense of his province, but I stopped listening to the squabble. Instead I stood quietly, looking at the beauty that lay stretched out before me, praying in my heart that God would let me find happiness in this new place. I'm giving away a copy of this book tomorrow. Make sure to come back to check out my review and enter to win! Anarchy destroyed Zion, and Rome stood ready to destroy anarchy...anytime...anywhere. 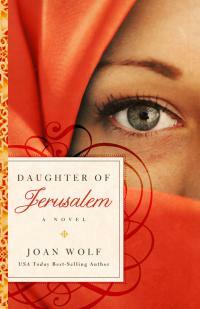 Hadassah held her mother, tears blurring her eyes as she stroked the black hair back from her mother's gaunt, pale face. Im reading The Circle by Ted Dekker..
"What if Rachelle was right about how the realities worked? Thomas might be the only true gateway between the realities, but if someone was aware of both realities, then both realities had potential to affect that person." Looks interesting. Thanks for stopping by my blog!